DON’T SMUGGLE DEATH. 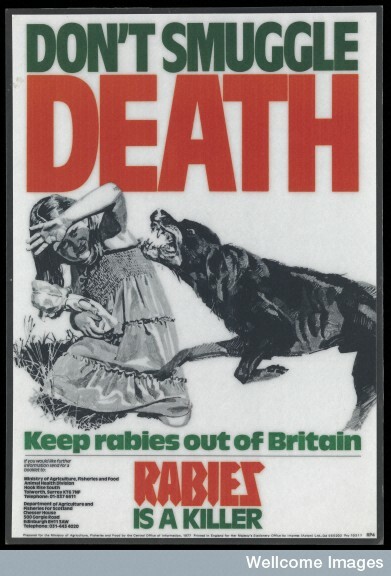 The DEATH and RABIES in blood red lettering. The snarling wild eyed beast with it’s slavering jaws. The innocent victim. prone and defenceless. 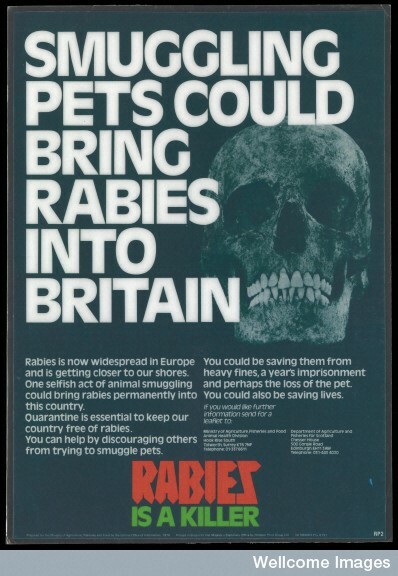 There is shock value in the image, and the use of the colour red emphasising the 2 keywords in the advertising. It is a hard hitting image, and a powerful message being conveyed. It affected me, especially in the context of being young, being in a slightly alien, dark and deserted environment. The bitter sweet memories of childhood terror!